In 1999, registration VP-CHN was reserved for Eurocopter EC120 B c/n 1038, but not taken up. On 26 September 2000, the 1999-built helicopter was registered D-HMHR in Germany with Gero Informationssystem, Bonn. On 27 August 2001, registration D-HMHR was cancelled as exported to Switzerland, but the helicopter didn't enter the Swiss register. 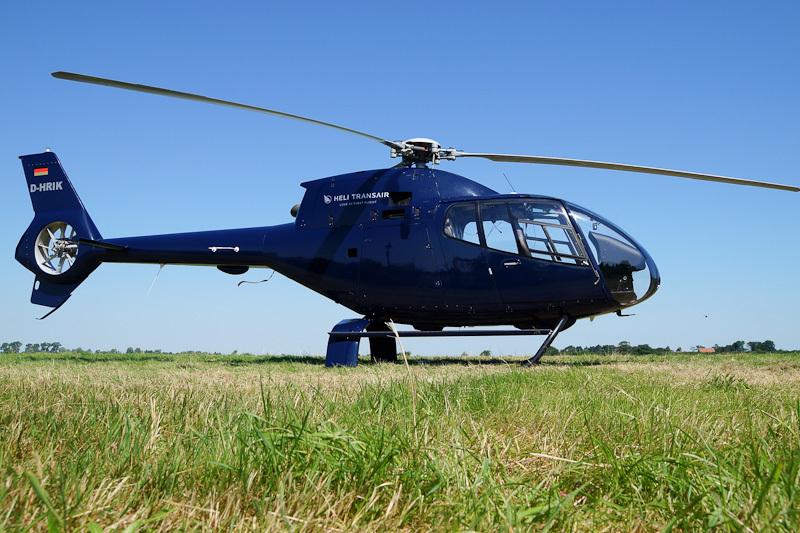 On 17 December 2011, the EC120 B Colibri was registered D-HRIK in Germany with Heli Transair, Flugplatz Egelsbach. In 2007, Eurocopter EC120 B D-HRIK was registered with Heli Transair European Air Services GmbH, Egelsbach. On 23 July 2014, Airbus Helicopters EC120 B Colibri D-HRIK was seen at Flugplatz Leer-Papenburg with Heli Transair 'Love at first flight' titles.